Mizner Tower is part of Mizner Village, along with Mizner Court and Mizner Grand, located on the grounds of the Boca Raton Resort and Club. This eight-story condo building was built in 1989 and is home to 136 ultra-luxury residences. Mizner Tower condos are two- and three-bedroom units ranging from 2,000 to 2,900 square feet of living space. Condos at Mizner Tower have expansive terraces and wrap around balconies that offer panoramic views of the Atlantic Ocean, Lake Boca Raton, the Intracoastal Waterway, the Boca Resort golf course, and Downtown Boca Raton. These condos boast unique interior designs, kitchens with state-of-the-art appliances and granite countertops, sleek marble flooring, custom walk-in closets, and luxurious master baths with Roman tubs. Included below are condos for sale in Mizner Tower, updated daily from the MLS. Mizner Tower was built by the famous developer Arvida with the inspiration of Boca Raton’s 1920's visionary architect, Addison Mizner. Amenities include 24-hour security, concierge, valet parking, two fitness centers, waterfront pool, two outdoor spas overlooking Lake Boca Raton, fully-staffed poolside bar, two tennis courts, steam room, sauna and putting green. There is also a clubhouse, community room, card room, extra storage available, picnic area, and jogging paths. Boat docks are also available, with ocean access available from Lake Boca with no fixed bridges. 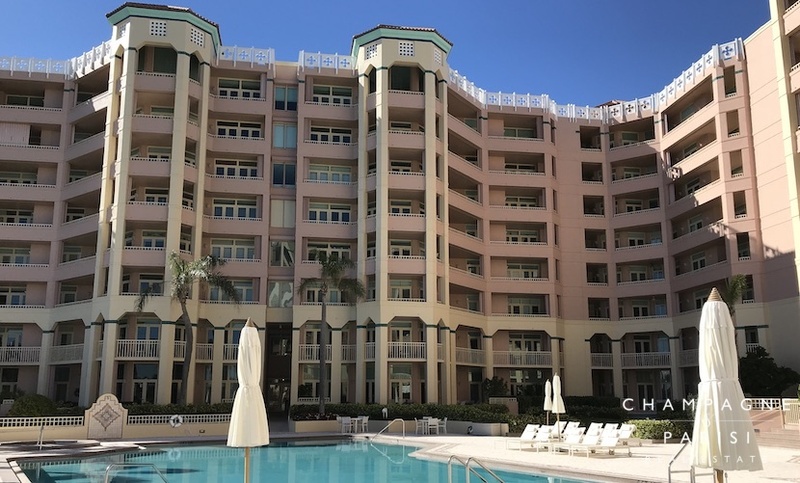 Homeowners in Mizner Tower have membership options available to the Boca Raton Resort and Beach Club, and transportation is provided from Mizner Tower to the different facilities. Mizner Tower is a pet-friendly building and owners are permitted to lease their units with some restrictions. Mizner Tower is located directly on the Intracoastal Waterway, within Mizner Village on the grounds of the prestigious Boca Raton Resort and Club. This prime location is just minutes from some of the finest shopping, dining, and entertainment options in downtown Boca Raton, as well as the beautiful Boca Raton beaches. With its ultra-luxury residences, prime waterfront East Boca location, and a plethora of five-star on-site amenities, Mizner Tower offers its residents the ultimate care-free South Florida lifestyle. If Mizner Tower sounds like the perfect place to call home, you may also want to visit similar luxury condominiums in Boca Raton including Presidential Place, 200 East, and Meridian, which also offer ultra-luxury condominium living in always sunny Boca Raton, FL. If you would like to learn more about Mizner Tower or any of the surrounding downtown condos in Boca Raton, please contact us at 561-235-7800. You may also reach us by completing the simple online contact form provided below and one of our luxury real estate specialists will reach out to assist you. We at Champagne & Parisi Real Estate look forward to assisting you in finding your next dream condo in Boca Raton!